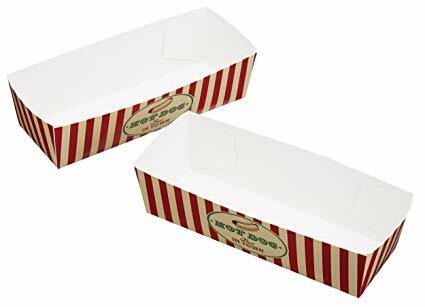 Each pack includes 6 prefolded hot dog trays that captures the classic essence of the American diner experience. Fantastic for themed parties, barbecues or food at home. Made from card - easy to recycle. Measures 19.5cm x 5cm / 7.5" x 2"